Could the beloved Dreamcast ever have a successor someday? If Sonic creator Yuji Naka has his way, it just might. Despite dying an early death in the very beginning of the last console generation, the Sega Dreamcast still has many fans who look back on those halcyon days with fondness. Sega may have morphed into a mere software developer these days, but Sonic creator Yuji Naka dreams of recapturing the company's old glory. "I do miss those old days when I was heavily involved in hardware making at Sega," Naka told CVG) while promoting Ivy the Kiwi. "I was involved in most of the consoles and controllers that Sega came up with." Naka says he'd like to get back to the hardware-making side of things, if only in an advisory position. "It would be ideal if I could become some sort of advisor working with the platform makers in future," he says. "I think if I can work really well with the platform makers then it's good for everyone, because I can then come up with totally new games." If Ivy the Kiwi performs well, says Naka, who knows? Maybe a Dreamcast 2 would be in the cards someday. "Of course Dreamcast was my baby back at Sega and I want to carry on making good games for the European market, and one day I'm hoping it gives me the opportunity to work on Dreamcast 2." I'm not so sure I see the connection between a game about a kiwi selling well and Sega getting back into hardware, but sure, why not! 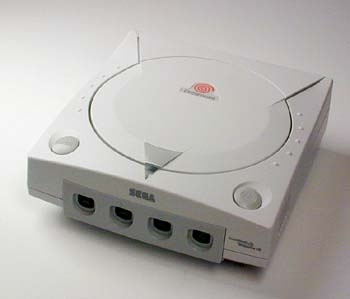 I mean, the Dreamcast was pretty cool, right?